Author, author! Hubby’s third book has officially hit the presses! 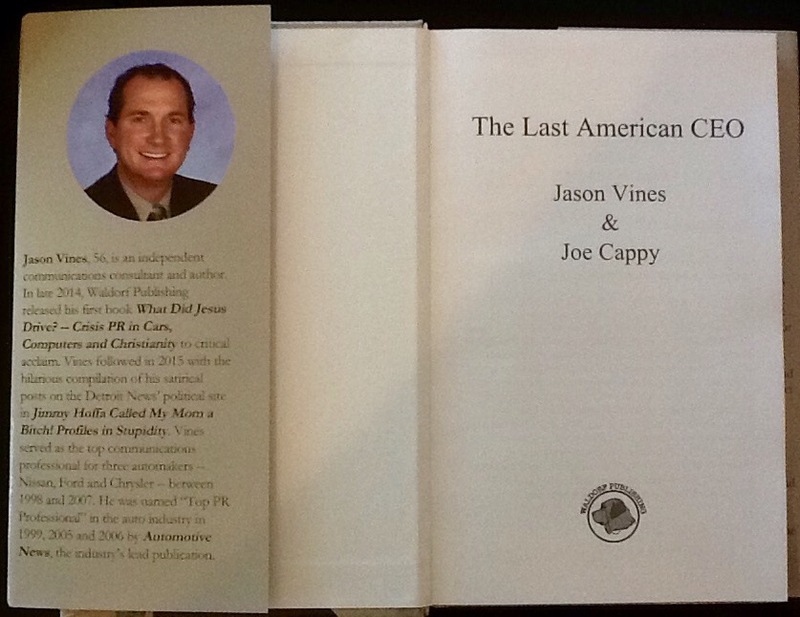 The first copies of The Last American CEO by Jason Vines and Joe Cappy (the real “last American CEO”) have arrived at the house. This hardcover book is a true insider’s peek into the nasty bits of corporate America/Europe. It follows the story of the near demise of American Motors until its rescue by Chrysler. 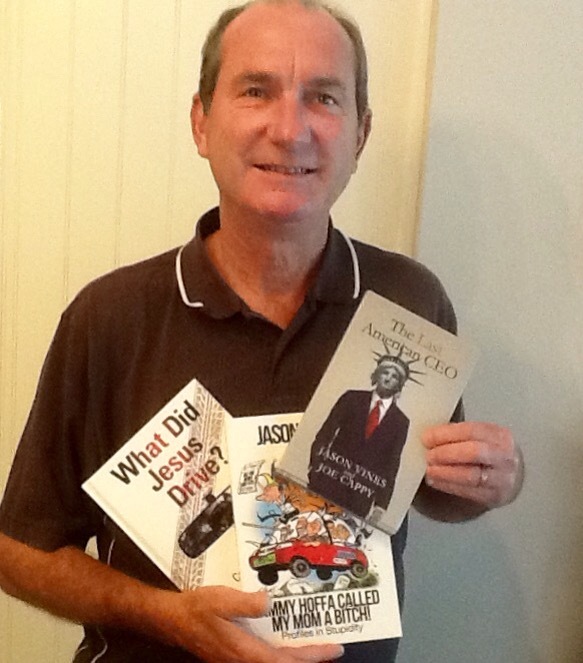 Auto enthusiasts will enjoy all of the history and power struggles. 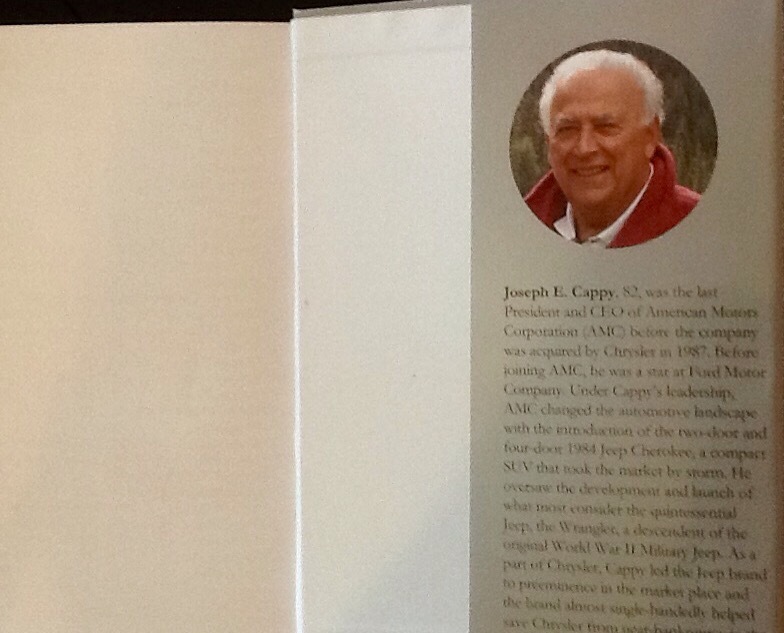 Jeep lovers will learn how their favorite vehicle saved three different companies. Every reader will marvel at the international intrigue and espionage involved in corporate mergers and everyday business. Jason and Joe will be taking The Last American CEO on the road to Chicago, Illinois for the Book Expo America May 11-13, 2016 where it will be the featured book for Waldorf Publishing this year. Sloooow down J, I cant read that fast! BV, hope M sD was fab for you. Will you guys be in town for our Yassoo Festival during Memorial Day? Hi Mary! Jason may be. In town for work around Festival time. I’m working so I can’t be there.